Upload video file using ajax call, So I have tried with simple ajax call unfortunately I have not getting FILE objects in server side script. How to send html FILE type object data using ajax on server side script. I am facing the issues of uploading video file in ajax call, FILE data not getting in server side. For that reading documents of jquery and plug n play with different scenario then I got final solution and writing demo example of HTML with ajax call for video upload with progress bar. jQuery('#frm_ecard').serializeArray(); using this function get all form data values and added into formdata. After creating for formdata object initiates ajax request for server side to store video. 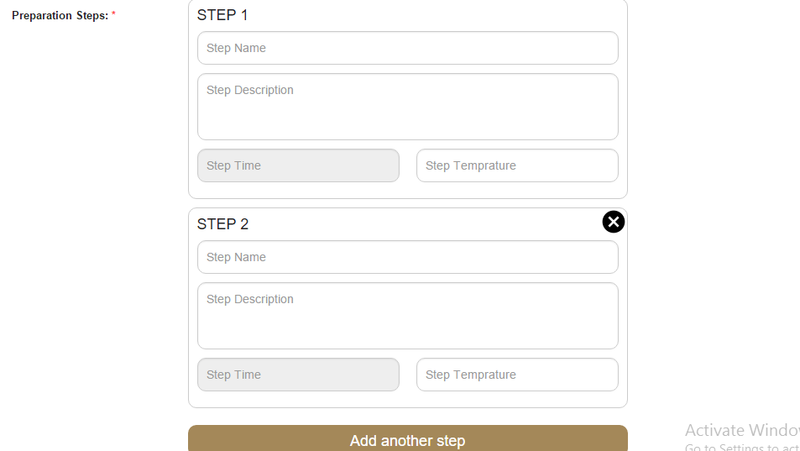 Formdata used for store key/values of given form. 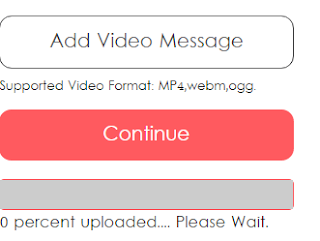 Below css I have used for displaying progress bar of processing video upload. The behaviour of the input event compared to the change event is not exactly the same in different browsers when applied to a range slider. A common UI pattern for a range slider is to allow the user to move the slider and display the value of it somewhere on the page, changing the displayed value as the user moves the slider. I think the expected behaviour in such a case is that the value should display instantly, as the user is moving the slider, rather than the page waiting for the slider to finish moving before the displayed value is updated. I suppose there could be cases where you prefer a delay over instant results, but I think the expected behaviour is to display the results instantly. I have share this below code for good experience with onchange event and display value in output tag of html5. So let us see following code section by section. A range slider is to allow the user to move the slider using keyboard arrow key up,down..etc and change the value of it somewhere on the page based on key press, changing the displayed value as the user moves the slider using keyboard key. I think the expected behaviour in such a case is that the value should display while you change the slider using key, as the user is moving the slider using key rather than the page waiting for the slider to finish moving before the displayed value is updated. I think the expected behaviour is to display the results instantly while you press the key and change the slider. The behaviour of the input event compared to the change event is not exactly the same when applied to a range slider. Step 1 : I have used previous blog HTML for jQuery validation of dynamic multiple fields. You can see in my previous blog post and refer the html (step 1) for same. Step 3: Add script files of jQuery and jQuery validate js for validation. 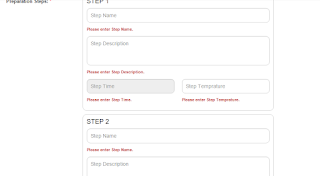 Step 2 : I have created addValidationToSteps() function to validate all repeat fields of recipe preparation steps. Which I called after page load and add another steps and remove steps. Step 4 : I want to display each field label as a message (i.e. 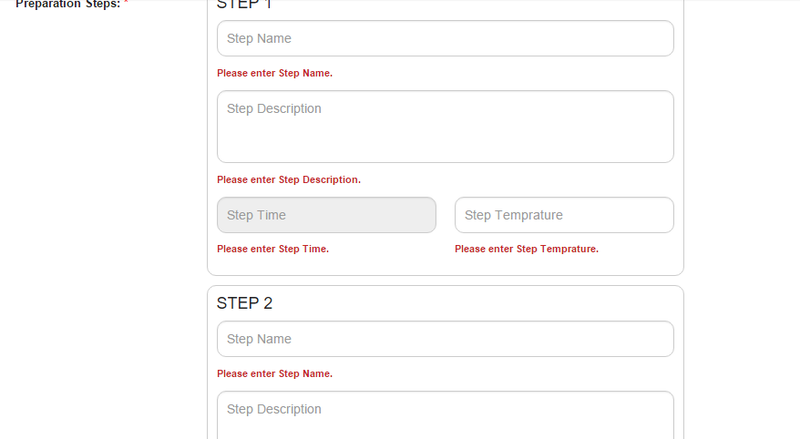 "Please enter Step Name") instead of this field required default message of jQuery validation. Jquery validate give us rules functionality to add dynamic field html validation as presenting below example. First you need to create HTML which you want to repeat. Please make sure naming of elements should be unique which you are using. I was facing issues of naming which is taking same and block was not properly named. So I thought I will help to others for creating dynamic html add more and remove feature in simple way. I am presenting demo for preparation steps for recipe. Recipes have multiple steps so this steps need to repeat based on your recipe. I have facing issues of repeat fields counter. Write blog post regarding jQuery Chosen plugin to get multiple selected dropdown values. Here I am sharing my experience of jQuery Chosen plugin like get multiple selected value from dropdown. It was little twiky solution for me at moment and their for I had goggling and found good solution so for reason I was thinking like why I should not share to other. So here I am going to share one of the issue. Which was worked on drop-down populate data using Ajax call but somehow it was not getting multiple values of selected dropdown. Now time for demo. How to get multiple Category based on category selection Ajax call trigger and show other list of dropdown of jQuery . Step 3 : HTML for dropdown.you must need to add name as array category and add multiple attribute in select element. Div of #show_location currently I set as display:none I want to visible state only when selected value of category have product of experience. Step 4 : Ajax call for get if any product exists for category and show dropdown of state using jQuery show method. jQuery Select box value of drop down not filled/selected in other drop down value. I did R&D for auto fill value drop down based on the other drop down value selection. I have presenting one demo example for How to change drop down value of shipping country based on billing country while you checked ship to same address. Step 3 : Change shipping country value based on billing country while you checked ship to same address. 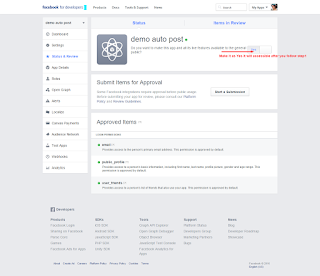 App not set-up for public used - Facebook permissions issues I have faced in my app development.I thought it will be helpful to others so I have written below blogs for set PUBLIC app in Facebook. I have add one app in developer account in Facebook using below links. I got API KEY and SECRETE KEY of Facebook to integrate app. After adding API KEY and SECRETE KEY of Facebook in my code I got logged in Facebook for my app unfortunately having the issues of permissions and its display as development mode. You don't have access on it. 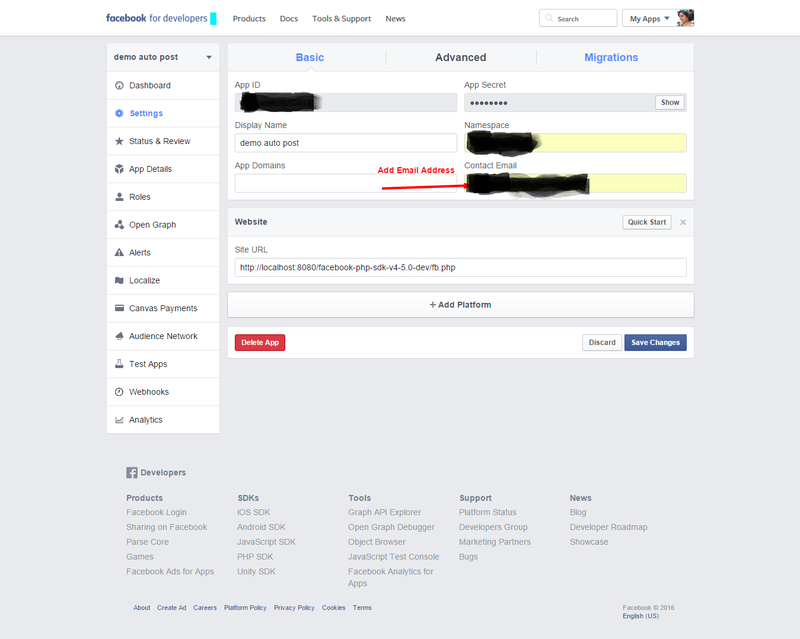 I did number of things to set permissions in Facebook developer account still same issues raise again. Finally I found the solution of Facebook permissions issues for set public app. I will shown you how to set permissions for public app as below you will get more idea using attached screenshots. Add email address : Settings tab → Contact Email fields → Add email address → Save. Add your contact email address in contact email fields of Settings tab in Facebook If you add your email address in this field then It will be enable option of do you want to make this app and all its live features available to the general public in status and review tab. 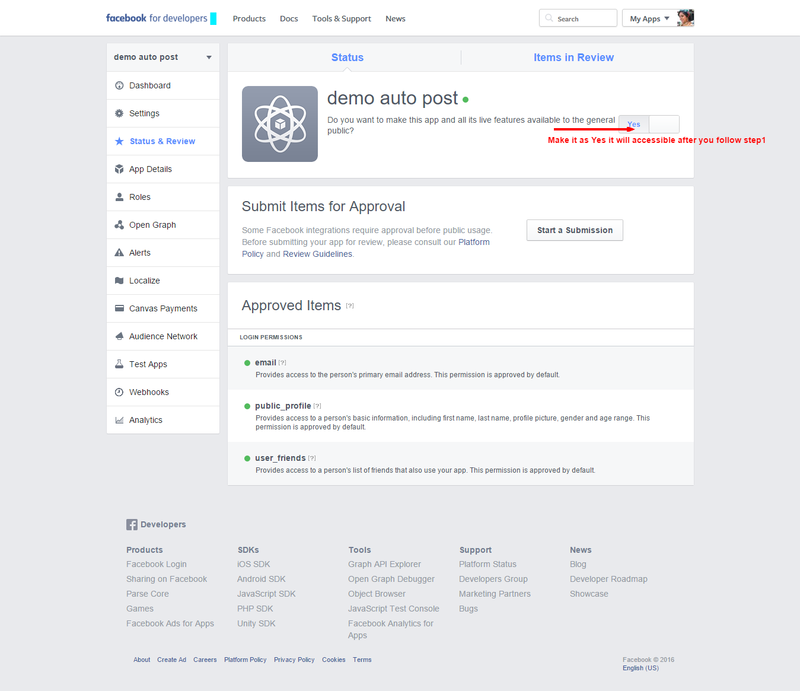 Status&Review Tab → Enable Yes → Save in your Facebook development account. jQuery Select box is very tedious to apply CSS again in the drop down while ajax call. I did R&D for apply CSS and value again in drop down during jQuery Ajax call. I have presenting one demo example for How to change drop down of state based on country selection. Step2: jQuey Select box call selectbox() function to the drop down. It will apply custom CSS in particular drop down. Change state value based on country selection.I have used ajax call for change state value based on country selection. jQuery select-box provide us onChange event for select value based on selection.You need to tack care for attach and detach method of jQuery select box plugin. Return above option in Ajax response. After Ajax response you need to detach drop down of state,It will be remove values and remove drop-down select box CSS and then populate value in that state drop down using val() function.You need to again attach select box in that drop down. So select box jQuery CSS will be apply in Ajax call again. I have faced the issues of session user data in codeignator. It consider default storing text value limit as 8000 to 9000 characters. I was working with array of session where array of session will not store more then 8,9 values in session. I did number of R&D for extend the storing value in session and also tried with destroying the user session unfortunately I will not success then I get one solution as below. Its some tricky solution and help to someone.